Da Nang is a coastal city in the middle of Viet Nam. It is not only the largest central of economic, culture but also beautiful city. Overcoming “the most beautiful pass in the world ” you will see full of city is bustling and changing day by day. It is Da Nang. Da Nang is a bustling city without a hustle, a modern city full of epic poems. Maybe traveling to Da Nang by book da nang tour​ has never been make you regret and it is a great journey to "return to" in your life. 2.When do you travel to Da Nang? 3.How do you travel to Da Nang? 10.Where should you book Da Nang tour? Da Nang is one of five cities under central authority in South Central, is the largest center of economic, political, culture of Viet Nam. Because of having beaches and forests, Da Nang promotes all of the advantages to help everyone good services, to Da Nang became a powerful city, attract strong investment of domestic economists and foreign economists. When you travel to Da Nang by book danang tour , you will experience pleasure with different emotions. Now, Let’ s go! 2. When do you travel to Da Nang? Da Nang is located in the central of Viet Nam and have a pleasant weather than the other provinces because of their location. The best time you can travel to Da Nang is from April to early September. Yet, The climate is dry, so you tend to try exploring lots of recreational activities not afraid of being wet rain. Especially, the weather is so nice that you stay Da Nang beaches. You tend to sunbathe every morning and swimming every afternoon. You can’t missed Ba Na where have 20 degrees Celsius. Tourist will be offered lots of good services or beautiful places. Maybe there are many people want to know which the best transport to go when they travel Da Nang by book da nang day tours. But don’t worry, you can find one of them. Plane: Da Nang have an international airport which is center and you don’t spend a lot of time to travel. There are number of Airlines you can chose as: Vietnam Airlines, VietJetAir, Jetstar...Cost of tickets are suitable for everyone, sometime you can buy a cheap ticket. Car: There are a kind of car you can chose. 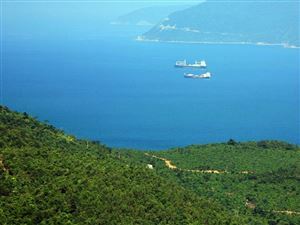 If you are not carsick, you can travel Da Nang by car to save a lot of time. Train: You can chose the train if you want a safe journey.Train station of Da Nang is large ,so it is convenient to travel. Everyday, SE train always run from north to south and you can buy ticket whenever you want. Motorbike: If you are person who likes explore, you tend to chose motorbike. It makes you feel interested and comfortable with a long streets. When you come Da Nang by book da nang tour package, you can chose one of transportation as: motorbike, taxi, bus…which you like. It ‘s helps you have wonderful feeling with small streets full of red paper flowers. When you come Hoi An you will be attracted ancient walls hundreds years old and can take some photos. 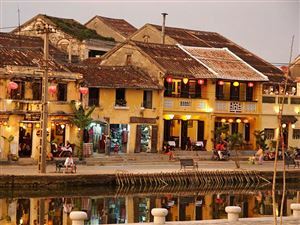 Hoi An is famous with many streets full of lanterns, special architecture bridge Pagoda. Tourist will be tried riding a bike on the ancient town. Da Nang is peaceful with long sandy beaches and My Khe is one of the beaches was recognized the most attractive beach on the planet by Forbes magazine. Because of a pleasant weather, a clean beach, a long of sandy, My Khe beach is always top tourist destination list. 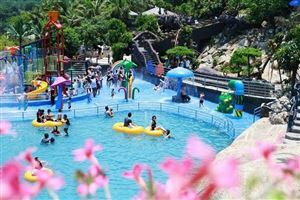 Although Asia park open recently, tourist was be attracted by lots of recreational activities and a modern architecture there. In addition, tourist will have experiences when seeing City from high above. Son Tra where helps you have full of veiw a modern city. There are a number of high buildings and stunning bridges across Han River. 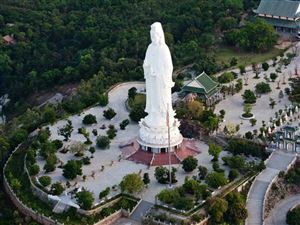 Linh Ung Pagoda, Ban Co top where have a diversified ecosystem are great destination you can visit. It is regret if you travel to Da Nang without try Eating Pork rolls. The pieces of meat were curled in girdle-cake and vegetables is the perfect. This is famous food of Quang Nam which tourists like. Coming to Nam O where is near Hai Van pass, you don’t forget to sample Nam O Raw fish and vegetables which is extremely delicious and regional. Maybe It come to your mind. It is familiar food with Da Nang people. Just think of a day when you come to home from work, you couldn’t be happier to eat a tasty food. One of famous food in Da Nang is seafood. There are a lot of seafood you can choose such as: shrimp, crab, cuttle...In addition you don’t miss the other foods as: pancake, Sweet grue Lien, pork grill, pork roast… Remember to save lots of food to eat one day. After a day traveling here, nothing is more wonderful when you hold a cup of coffee to watch this city at night.There are many cafes here but you should choose these cafes if you are a trendy traveler. This is a café which still maintain and develop when many cafes spring up. Many Da Nang people spend their time here. This café space is quite peaceful because of the light design that makes everyone feel relaxed. There are 2 floors here and it will be suitable for you if you are interested in reading. If you want to relax, please go to this cafe for joining in live music night. Welcome! If you have never been to Hue, you can choose to travel in Danang. Truc Lam Vien is a cafe designed in the style of Hue royal architecture. This coffee has a spacious green space, especially people here are still impressed with Ruong house that has age over 100 years old of ancient capital of Hue. This café is located on the bustling Bach Dang street. Souvenirs is probably a place you should not miss while in Da Nang. This café has 2 floors with fancy design with glass doors that make everything as close to the outside world. If you love living virtual, like the flower pots with beautiful walls painted soft colors, invite you to the second floor of the Souvenirs. When you set foot on the stairs you will feel the color of contemporary art in the cafe next to the romantic Han river. certainly this place will be a very ideal destination for you. In addition, you can visit other cafes such as: Lela coffee, Papa container, ... Hope the cafe we introduced above do not disappoint you. Although they have special products, all of them are civiliized and modern. The people in Da Nang is friendly. When you travel this city, you can buy something like: Clothes, shoes, hat, souvenirs for your parents or your friends. Prices is not too expensive to buy. Beside, You tend to eat a lot of delicious typical dishes when you visit Da Nang market. There are many nomal hotels or luxury hotels in Da Nang and you can get in touch with us to have lots of infomation. The name of hotel you can find are: Sanouva DaNang hotel, Stay Hotel, Lion Sea Hotel, King’s Finger hotel, Hoàng Sa hotel,...Most of them are high quality hotel. 10. Where should you book Da Nang tour? 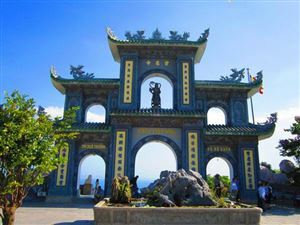 You can book Da Nang tour to prepared for your journey with website https://tourindanangbestprice.com . You can inbox for them and they will answer all of your questions about Da Nang tour. Hope to you will have a great time in Da Nang.